If you’re looking for an ergonomic right-handed gaming mouse, you should give the Razer Mamba TE a look. A new mouse is one of the fastest and easiest ways to improve your gaming performance. We’ve looked at a few gaming mice here at Techaeris and have found a lot of variety in the category. The Razer Mamba Tournament Edition mouse is one more option available to gamers to elevate their gameplay even further. Read all about it in this full review. The Razer Mamba Tournament Edition (TE) mouse is a right-handed pointing device with a relatively standard size and shape. When counting the various actions of the scroll wheel, you’ll have a total of eleven buttons/customizable actions to work with. On the top of the mouse, you’ll find the standard left and right-click buttons, as well as the scroll wheel which can also be clicked as well as nudged to the right or left. Just behind the scroll wheel are the sensitivity buttons that raise or lower the DPI, anywhere from 100 all the way up to 16,000. Below those buttons you’ll find the Razer logo. The right side has a rubber textured area to assist with grip, while the left side has a similarly textured rubber strip as well as two additional buttons. By default these buttons are set as “Button 4” and “Button 5” but they can easily be reprogrammed using the Razer Synapse software. The bottom of the mouse includes the optical sensor as well as several TEFLON feet for smooth movement. The front of the mouse includes two perforated grate-like covers as well as the braided cord attachment. 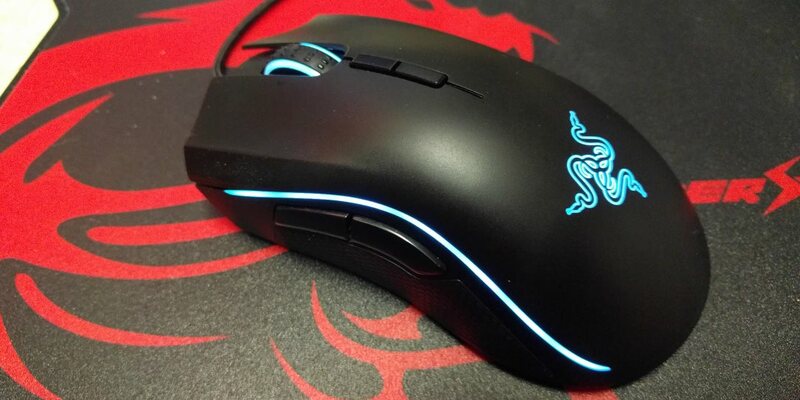 Since the Mamba TE is a Chroma-enabled device, it includes Chroma lighting effects. There is a stripe down either side of the mouse, as well as the Razer logo and the scroll wheel that will light up with whatever Chroma effect you have enabled. There are 16.8 million color combinations to choose from, and five lighting effects to choose from: Wave, Spectrum Cycling, Breathing, Static, and Reactive. These settings can be enabled and adjusted in the Razer Synapse app. Speaking of the Razer Synapse app, I discussed the app and its capabilities in greater detail in the Razer Blackwidow Chroma keyboard review, though I’ll recap just a bit here as well. The Razer Synapse app is your hub for all Chroma products that you may own. From the Blackwidow to the Razer Mamba Tournament Edition mouse, to the Lenovo Y900 Razer Edition gaming PC (review coming soon), any hardware with Chroma capabilities can be controlled via the Synapse app. 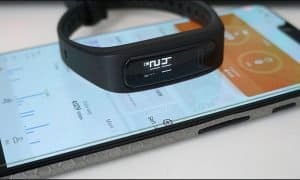 Any configured hardware will appear at the bottom of the window, and clicking on that hardware will take you to its available settings. Some hardware can do more than others, obviously. The Y900 gaming PC mostly has some lighting controls, while the Mamba mouse has lighting controls as well as button setup, mouse sensitivity, etc. 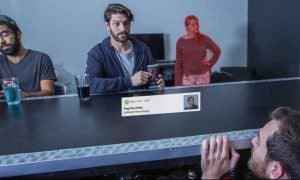 Mouse settings in the Chroma app are largely what you’d expect. You can configure every button on the mouse — with the exception of the left-click button, that’s always going to be a left-click — and re-bind the buttons whichever way you’d like. You can also adjust the mouse sensitivity and acceleration, and also adjust the Chroma lighting effects. If you have more than one Chroma device, you can sync the lighting effects to all Chroma-enabled hardware for continuity, or if you prefer to have crazy flashing lights all over the place, you can configure each item individually as well. Using a mouse is naturally pretty easy. Simply plug into an available USB port, and your computer should recognize the mouse without issue. That’s really about all there is for basic functions. You can get into more advanced functionality using the Razer Synapse software, as mentioned in the software section above. By default, the two extra thumb buttons on the side of the mouse function as “mouse 4” and “mouse 5” though both can easily be re-bound either via in-game setup or by using the Razer Synapse software. I already mentioned, but all buttons on the mouse can be re-bound using Razer Synapse except for the left-click button. The mouse has very smooth movement and depending on your sensitivity and acceleration settings will cruise right along on your screen. I already touched briefly on performance in the section above, but this is definitely a smooth mouse. Even at lower DPI settings, your action and control are both quite good. I’m still not the type of person that thrives using crazy high DPI settings, though they are still there for those who prefer them. Additional programmable side buttons are always helpful when gaming and the extra buttons on the Mamba TE are positioned in an incredibly efficient manner. They both sit just above your thumb, and both can easily be pressed without too much movement or repositioning. While in use, you really aren’t going to see very much of the lighting effects on the mouse since your hand is going to cover up most of the LEDs. 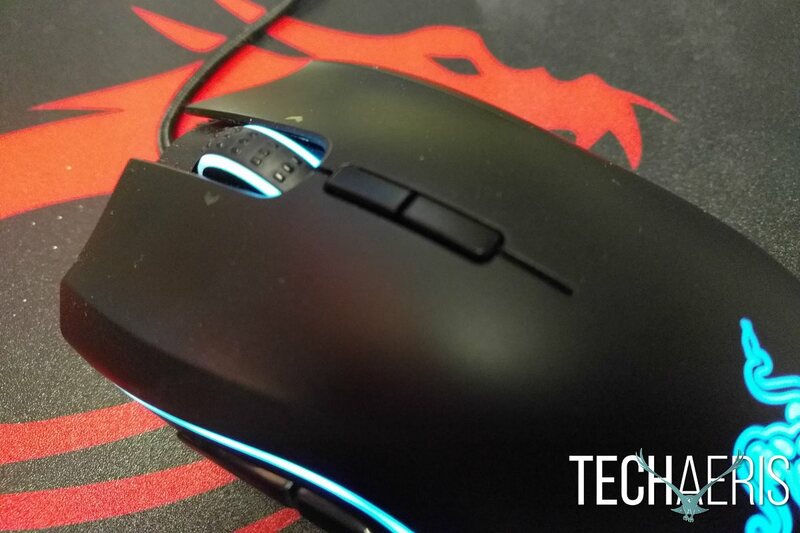 You can likely still see most of the LED strip on the left side of the mouse since it sits between your thumb and your index finger. You’ll also probably catch a glimpse of the scroll wheel occasionally, but really you probably aren’t going to be looking at your hands while you’re in the middle of a game anyway, so lighting here isn’t as noticeable as it is, for example, on the Razer Blackwidow Chroma keyboard. There’s just a lot more space to work with there, so the lighting has a more noticeable effect. Priced at $89.99, this is a quality — albeit slightly expensive — mouse. You can pick it up on Amazon for $59.99, which helps, though for the money you’re still going to get a very good experience between the functionality of the mouse itself along with the additional options afforded by the Razer Synapse software. If you’re looking for an ergonomic right-handed gaming mouse, you should give the Razer Mamba TE a look. 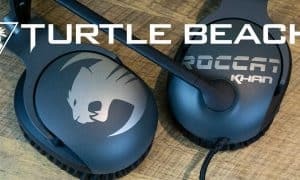 It’s comfortable to use, has excellent performance, and allows for plenty of customization in order to get the most out of whatever game you’re playing. Quality gaming mouse with smooth performance and cool Chroma lighting effects. Extra buttons are always nice, and these are easy to reach and use. $90 might be just a bit too much, but thankfully you can get a great deal on Amazon right now. This is definitely a good mouse with a lot of customization options. 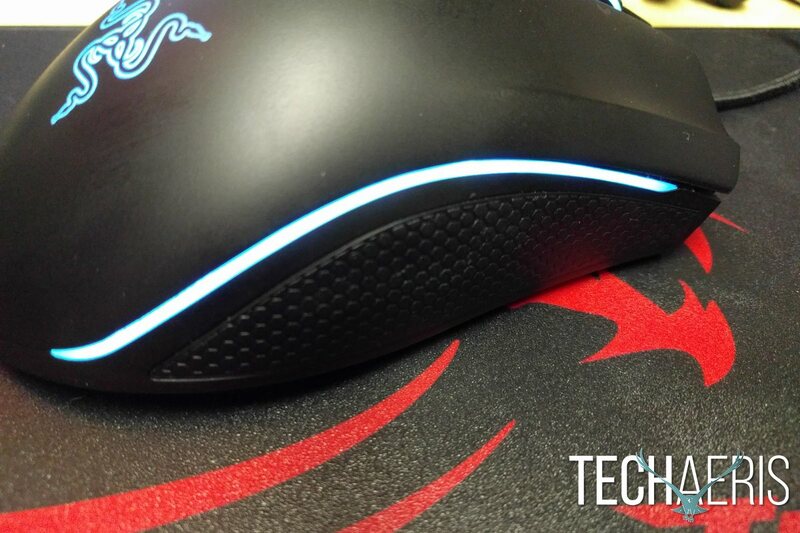 The Chroma lighting effects are cool, and this mouse will sync with any other Chroma-enabled hardware you might own. *We were sent a demo unit of the Razer Mamba Tournament Edition for the purposes of this review.